Directions to beautiful Virginia Beach! 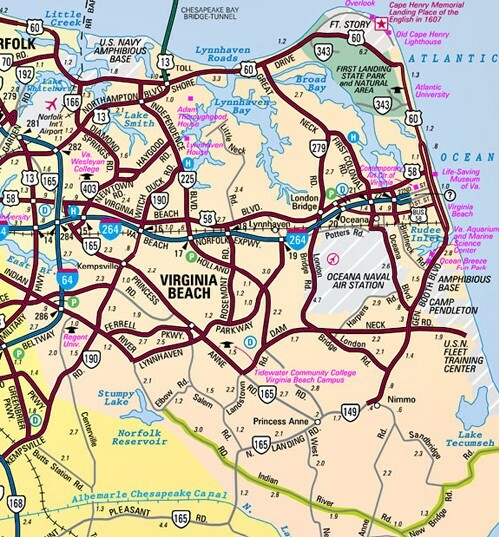 If traveling South on Rt-13, cross the Chesapeake Bay Bridge Tunnel and go straight. Follow signs for I-64 East to I-264 East towards Va. Beach. If traveling East or West on I-64, take Rt. 264 (Virginia Beach/Norfolk Expressway). Virginia Beach Map courtesy of virginiadot.org.